Legendary Sven Väth's Cocoon announces performances of Richie Hawtin, Nina Kraviz, Adam Beyer, Ricardo Villalobos & more at Amnesia Ibiza. - Track? !D. 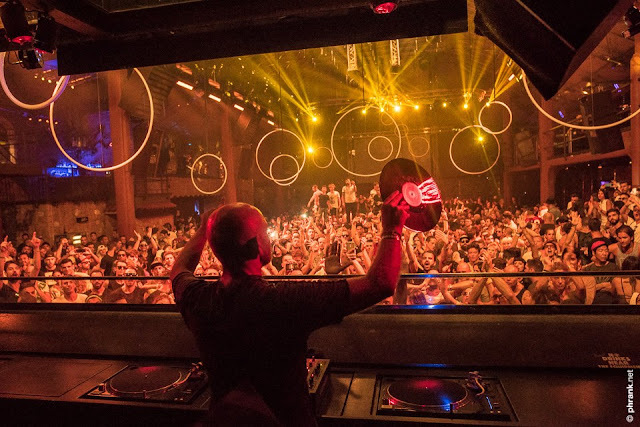 Home » Amnesia Ibiza » Cocoon recordings » ibiza » News » Nina Kraviz » Richie Hawtin » Slider » Sven Väth » Updates » Ver » Legendary Sven Väth's Cocoon announces performances of Richie Hawtin, Nina Kraviz, Adam Beyer, Ricardo Villalobos & more at Amnesia Ibiza. Legendary Sven Väth's Cocoon announces performances of Richie Hawtin, Nina Kraviz, Adam Beyer, Ricardo Villalobos & more at Amnesia Ibiza. Legendary Sven Väth's Cocoon in Amnesia Ibiza is knowed about high quality music parties .Mr Vath will be leading Cocoon 2017 into its 18th Ibiza season.The party will run for 19 weeks, opening on 29th May until 3rd October 2017. The line up for 2017 isn't out yet,but already confirmed appearances of Richie Hawtin, Nina Kraviz, Adam Beyer ,Ricardo Villalobos & more to come. "After a truly stunning 2016 the sublime Adam Beyer returns to Cocoon Ibiza.7 massive shows this summer from one of 2017’s most important artists. There is only one place to see this master at work in Ibiza in 2017.6 exclusive shows. After a sensational 2016 the fearless brilliant Nina Kraviz will wend her way back to Ibiza in the summer of 2017There will be 5 effervescent shows from this force of nature. The legendary Richie Hawtin will play just 5 exclusive club shows in Ibiza in 2017All 5 shows will be on a Monday night in Amnesia."